Sun with Moon - Awesome ambience, Good Quality Food and Reasonably Priced! A cheerful heart is good medicine. How true! I was suffering from unexplained exhaustion and nursing a very bad backache before I went out. I went for a massage yesterday but it was of no help. 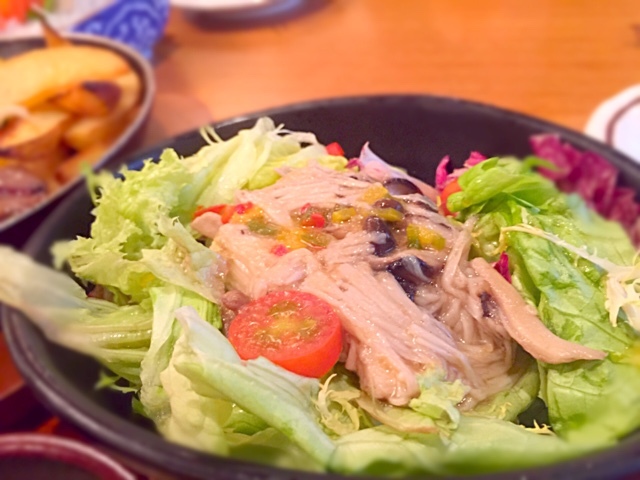 Today, I wanted to treat two people, whom I appreciate very much, to a good meal. 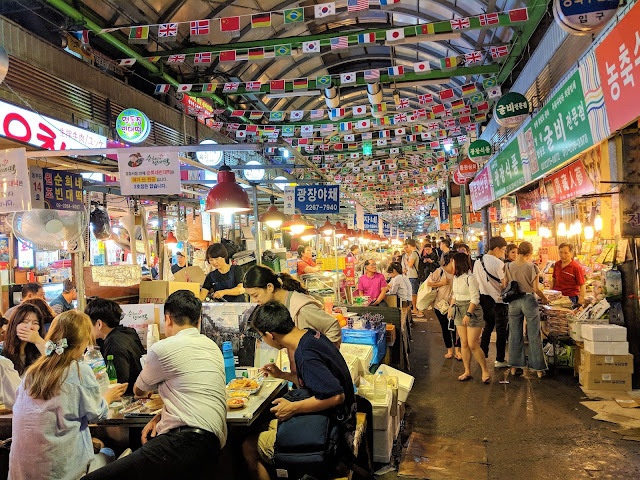 I suggested Sun with Moon as I learnt recently that they prefer Japanese to Korean cuisine. Surrounded by good company, I was positively energised! I also had a respite from my bad backache. I have always loved Sun with Moon Sashimi for its quality. The salmon sashimi tasted fresh and most importantly, sweet. 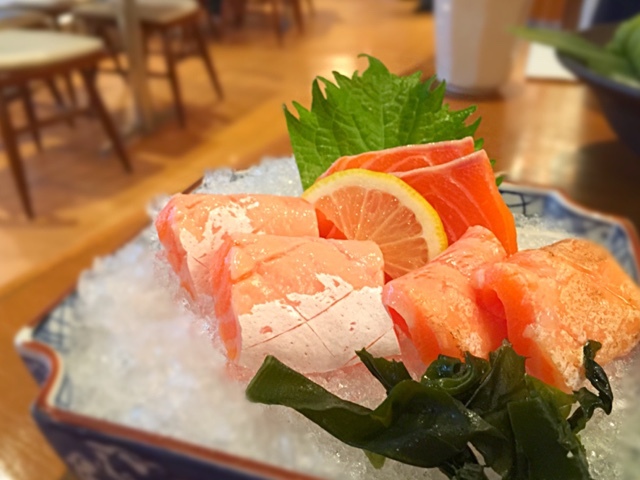 It is relatively easier to find fresh sashimi than fresh and sweet sashimi. As I dipped the sashimi into the soya sauce infused with wasabi flavours (the Singaporean way) and chomped it in my mouth, the sweetness of the sashimi gave me a warm fuzzy feeling. Oishi! I ordered the Sun Shake Shake Salad because it looked cute! 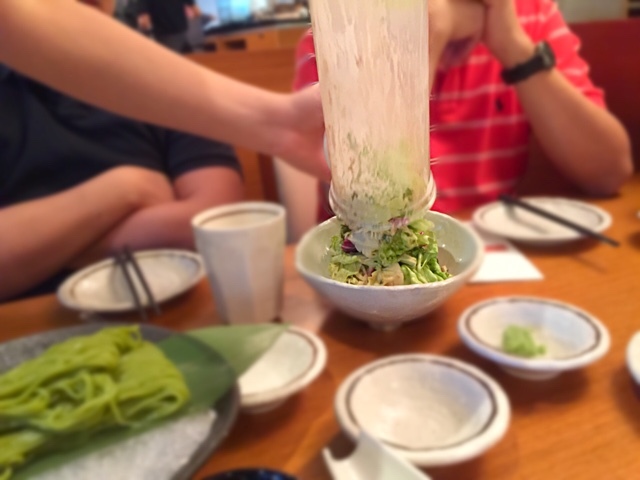 The waiter would place all the ingredients in the bottle and gave it a few shakes before placing it in a bowl. Kawaii! 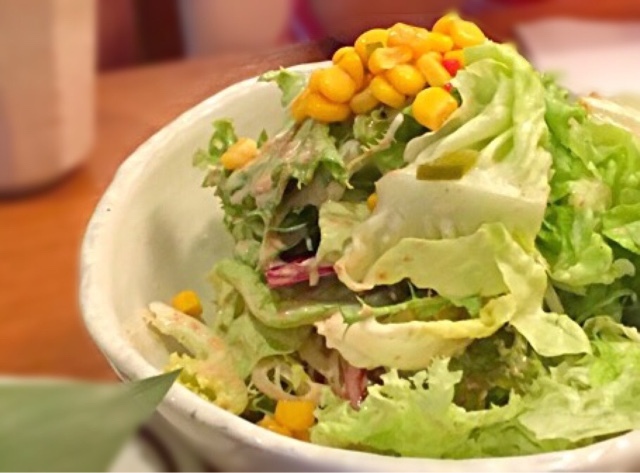 The crunchy, fresh vegetables, mixed with the right balance of sesame dressing, was a good source of green goodness. A toast to healthy eating! The dressing was flavourful yet not making the salad overly wet. 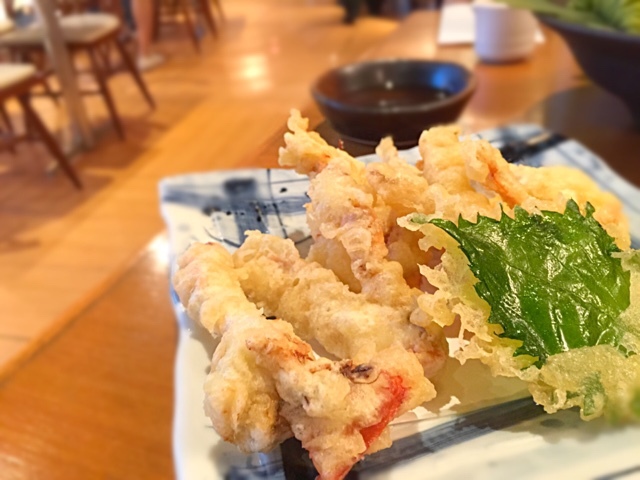 Most Singaporeans would order Soft Shell Crab Tempura in Japanese restaurants and we were no exception. The crab was fresh and the batter though crispy, was a tad too thick for my palate. 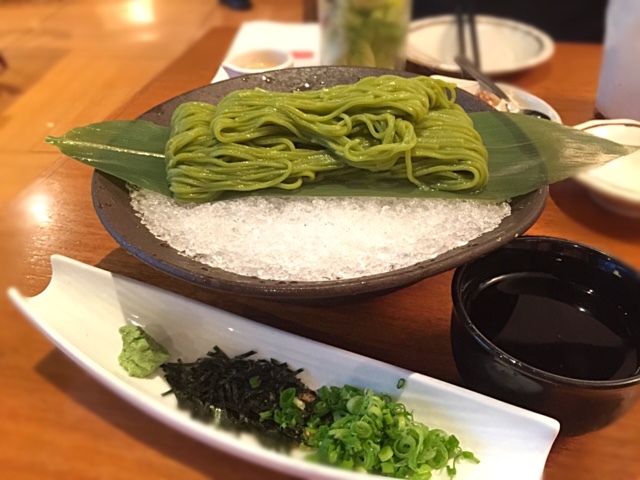 Cha Soba is one of my favourite dishes in Japanese cuisine. A good version should be chewy and not too soft. This is a good version. I found the sauce to be overpowered by a strong taste of ginger. 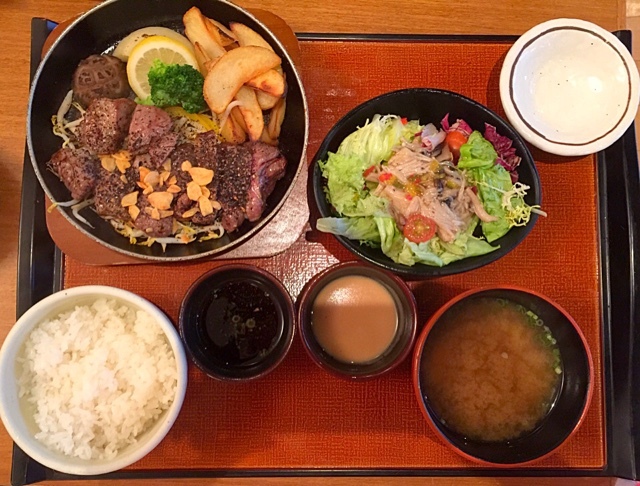 The beef set comes with an option of additional dinner set comprising Mushroom Salad, Miso Soup and Rice. The steak was requested to be done medium and it was cooked to perfection. It was juicy and tender. 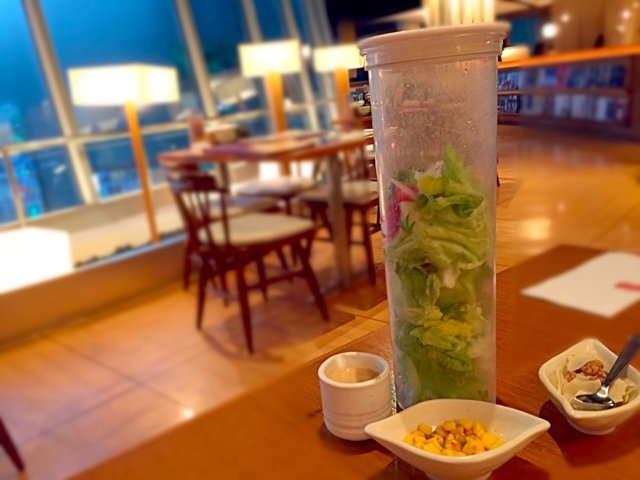 The Mushroom Salad was nothing to shout about so we added it into the Sun Shake Shake Salad. Look at the picture. Can you see the timer? The timer is there to alert you when the rice is ready to be eaten. The kettle is boiling the soup. 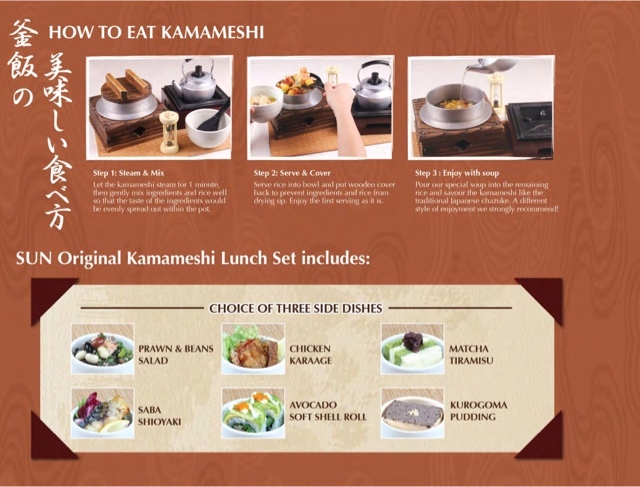 The picture below shows the steps to eat Kamameshi. 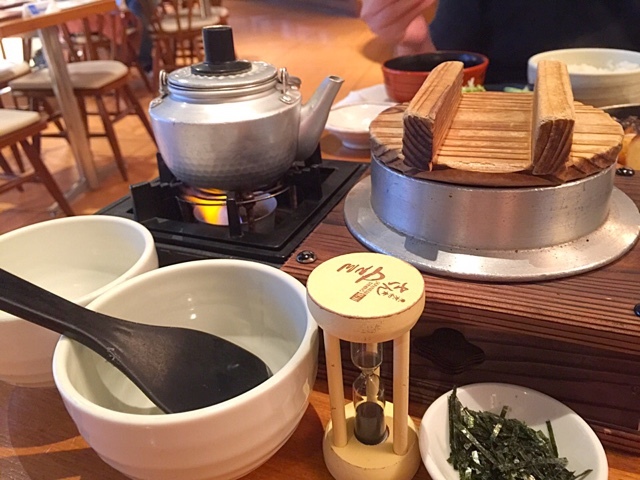 The soup is to be poured into the rice pot after you have finished eating most of the rice. 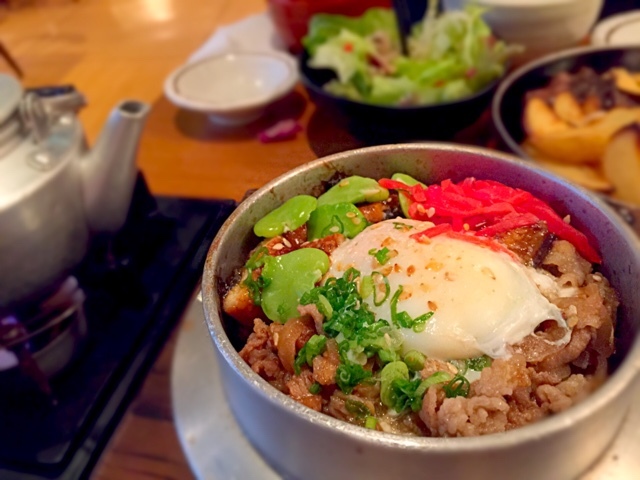 The rice tasted as nice as any Unagi Beef bowl in a decent Japanese restaurant but the fanfare of having the kettle of soup, makes the experience unique. The soup tasted salty and sweet. I especially enjoyed it when I poured it into the pot with leftover burnt rice. The aroma of the burnt rice added depth to the soup. Yums! Would I try it again? Yes! 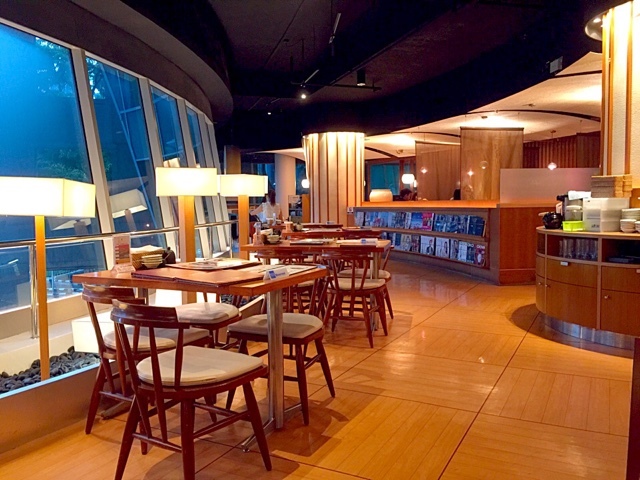 The soft lighting and wood furniture created a warm ambience with a touch of class. The waiters were very prompt and took initiative in refilling our cups. They do not practise the art of "You see me I do not see you" skill. 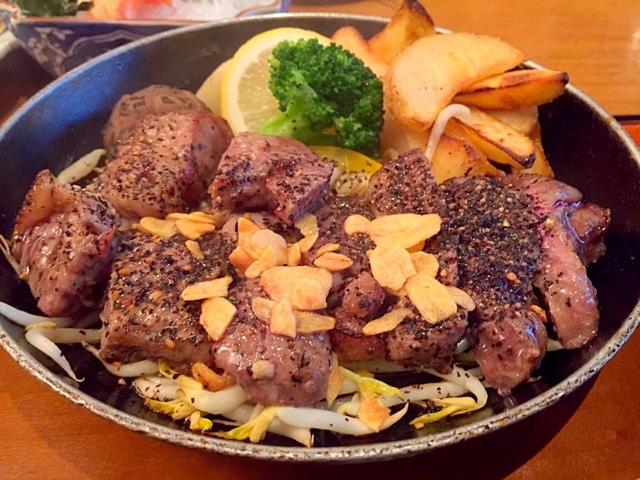 When I called to make a reservation around 3pm, the male staff was very understanding. He passed the phone to Wendy who completed the reservation. I was impressed so thank you Male Staff and Wendy! Sun with Moon was full house around 7.30pm on a Saturday. Do make a reservation to avoid queuing. Tucked away in a quiet corner of Wheelock, it is a chic place to hang out and have a decent Japanese meal. You can also have your coffee and cakes from Cedele which is just next door.